See what people think about Kath, her tours and events, and access resources including press releases and publicity images. These resources are available for use, if credits are provided and notification given. 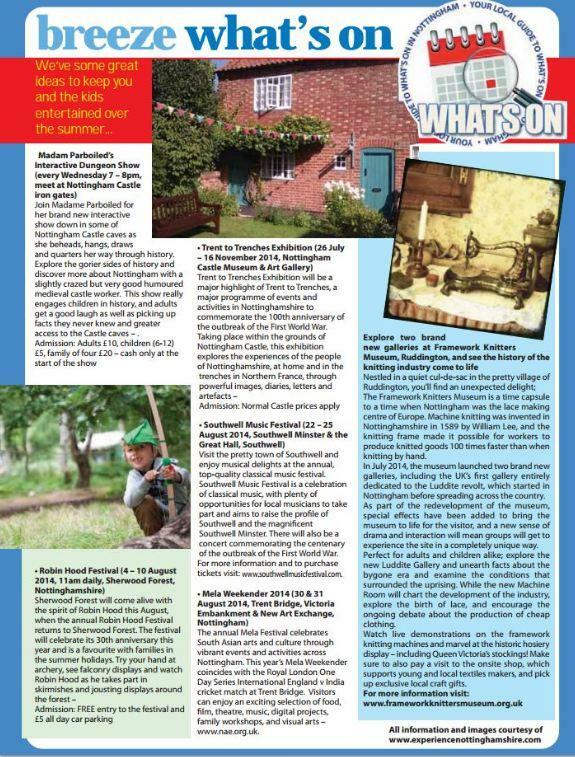 Interviews, photo shoots and filming are happily arranged, to discuss Nottingham, local and national history, and medieval life, as well as Kath's events, tours, characters and work. "Hey my name is Laura Roettig, I recently came to Wollaton Hall to record as part of my college project. I would like to say a big thank you to Carole Blackwell for allowing it and Kath for showing us around and giving us a lot of detail behind the stories." 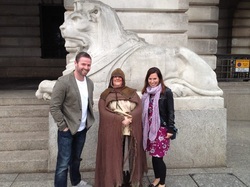 I had an amazing time in Nottingham castle dungeons last night with Madame Parboiled definitely a tour worth taking ! Went on another fantastic tour with the amazing Kath George aka Madame Parboiled this time round Wollaton hall! Never realised how big it was ! 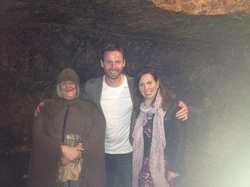 In a haunted cave under Nottingham with Madame Parboiled ink and Jo Godwin and maybe someone else... want to know more? Get yourself onto the pub tour! Hello Madame Parboiled. Thank you for a fantastic evening on Sunday. Spooky ghost stories and fascinating history facts meant the evening just flew by. It was fun to hang with you! We will look you up next time we are in Nottingham! -with Jo Godwin. I recently took part in one of Madame Parboiled ink tours and I must say it was very interesting and exciting to be a part of, I have to give an amazing review of Madame Parboiled herself for such an amazing tour/show her character was so believable and well lets say absolutely fabulous it made my day /week! YOU ALL NEED TO GO TO ONE I GUARANTEE IT IS WELL WORTH IT AND YOU'LL BE SAD TO MISS OUT! 100 out of 100! Thank you for an amazing night!